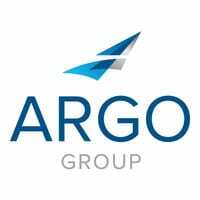 Get a glimpse of some of the people and places that make up Argo Group's presence in London. Argo Group is a diverse company with a global presence. The unique cultures, work environments and experiences that employees bring to the table give Argo opportunities to relate to and help meet the needs of a variety of customers. This “On the Ground” video series will visit some of Argo’s offices to show how employees around the world live and work. Ransomware and other forms of cyberthreats, such as data breaches involving stolen credit card information, have gotten significantly worse in recent years.